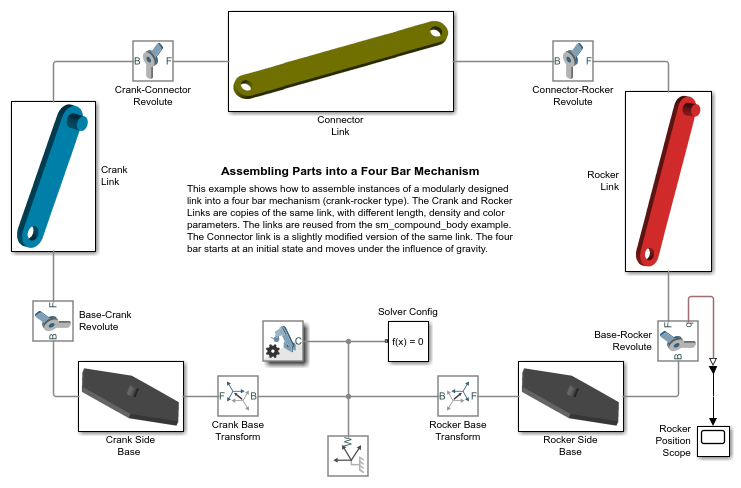 This example shows how to assemble instances of a modularly designed link into a four bar mechanism (crank-rocker type). The Crank and Rocker Links are copies of the same link, with different length, density and color parameters. 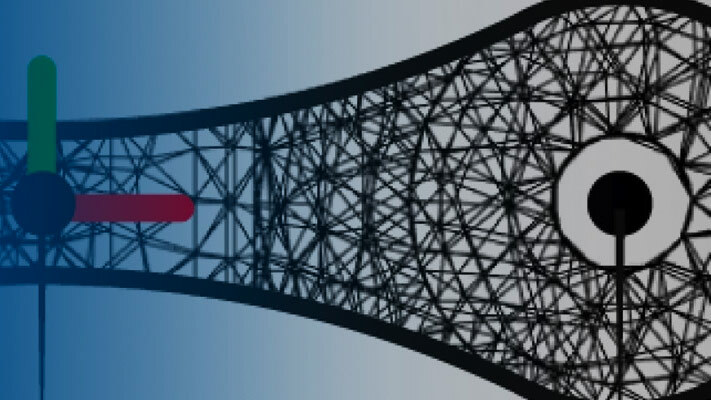 The links are reused from the sm_compound_body example. The Connector link is a slightly modified version of the same link. The four bar starts at an initial state and moves under the influence of gravity.